Check out Tobi's My Answer To You Cold Shoulder Blouse Enjoy the sunset with the My Answer To You Black Blouse. 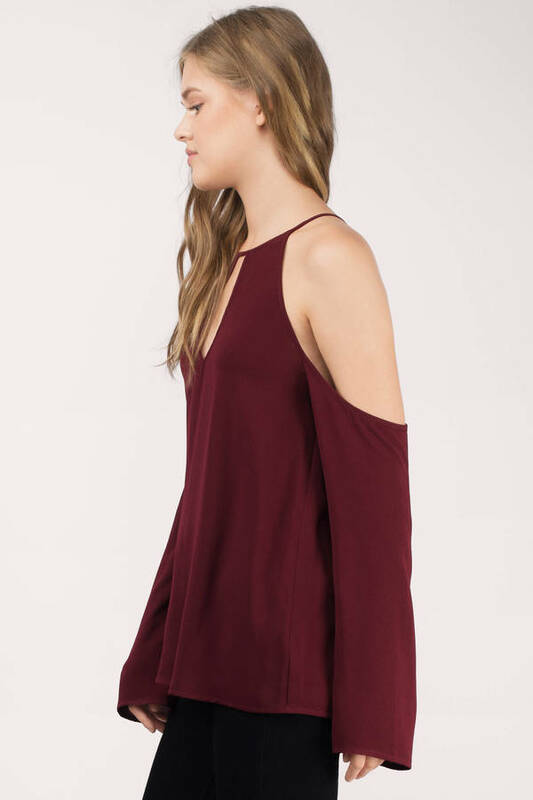 This high neck top features cold shoulder cut outs with a center keyhole on a lightweight polyester weave. Pair this flowy blouse with denim shorts and boots. Enjoy the sunset with the My Answer To You Black Blouse. 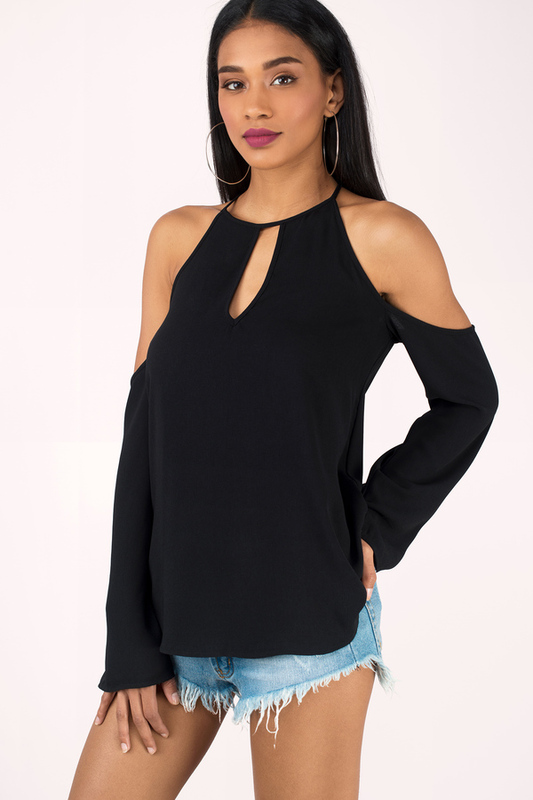 This high neck top features cold shoulder cut outs with a center keyhole on a lightweight polyester weave. Pair this flowy blouse with denim shorts and boots. Enjoy the sunset with the My Answer To You Toast Blouse. 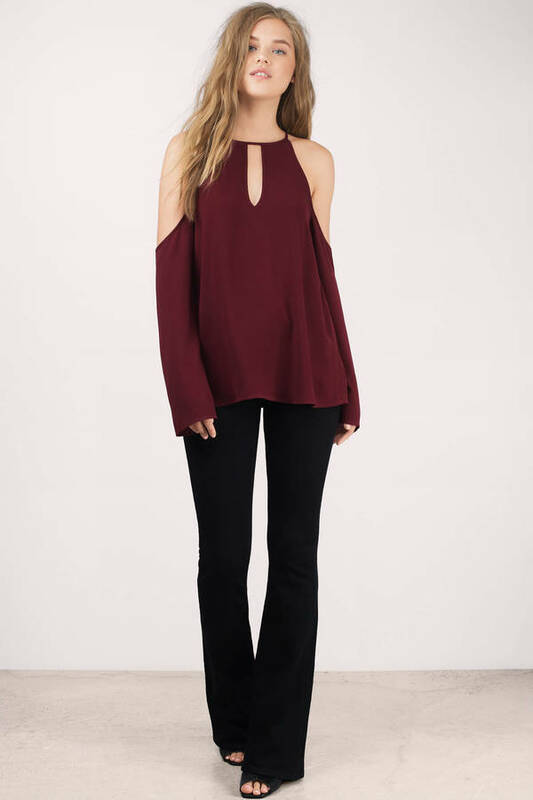 This high neck top features cold shoulder cut outs with a center keyhole on a lightweight polyester weave. Pair this flowy blouse with denim shorts and boots. Enjoy the sunset with the My Answer To You Wine Blouse. 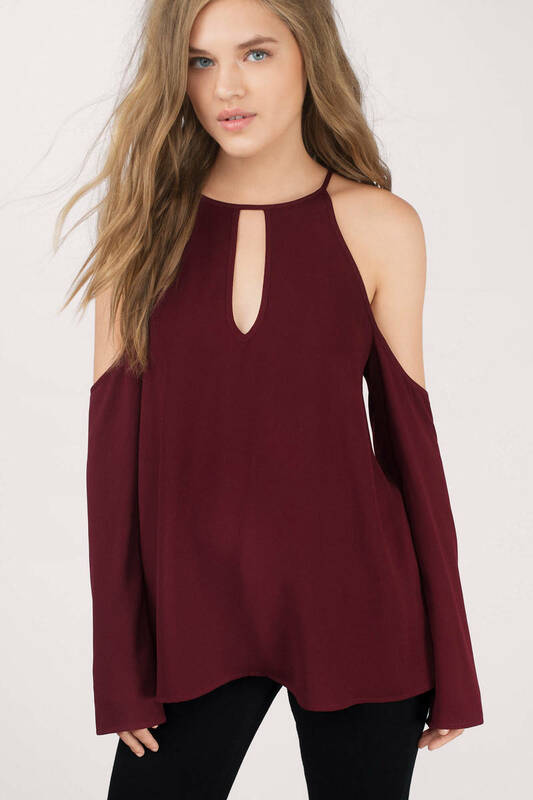 This high neck top features cold shoulder cut outs with a center keyhole on a lightweight polyester weave. Pair this flowy blouse with denim shorts and boots.